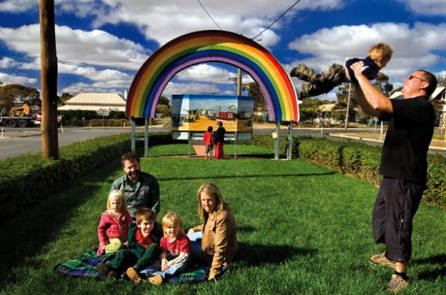 Following the success of the first rollout of Small Town Transformations in 2013-2015, the Victorian Government has funded another rollout of this initiative designed to transform small regional communities in an artistic way. The initiative is being managed by Regional Arts Victoria. NSF Consulting was brought back as evaluator to follow this second rollout of the initiative, this time being delivered to six small towns of less than 2000 people, namely Birregurra, Rainbow, Lake Tyers Beach, Bass Coast, Girgarre and Narrawong The aim of the evaluation is to contribute to assess the extent to which the initiative has met its intended objectives and to contribute to broader empirical evidence about how the arts my contribute to positive change in regional towns. A theory-based evaluation was developed to explore causation, that is, what it is about this initiative that makes it work, for whom, and under what circumstances. A Multiple Case Studies approach was also used to provide a systematic way of comparing and contrasting outcomes from the six towns, taking into account their contextual differences. Within the Multiple Case Studies approach, Community Panels were recruited and used to conduct longitudinal research at regular intervals. Data is mostly qualitative in nature, comprising in-depth interviews, focus groups, and observations. Some quantitative measures of transformation are also being carried out, through pre and post testing.